As you know, On the Brink podcast is all about helping you "see, feel and think" in new ways so you can really soar! In this episode, I interview Michelle Turman, bestselling author and Principle of Catalyst Consulting Services, whose mission is to facilitate positive change in businesses and non-profits. It is so hard to drive change. But that is what we must do to adapt to these fast-changing times. In this podcast, we delve into why it's so difficult for individuals and companies to really achieve the success they deserve and could accomplish. Want answers? Listen in! Turman is the author of the bestselling book, "Jumping the Queue: Achieving Great Things Before You Are Ready," which focuses on how young professional women can seize personal and professional opportunities, achieve great things, and get what they want and deserve. 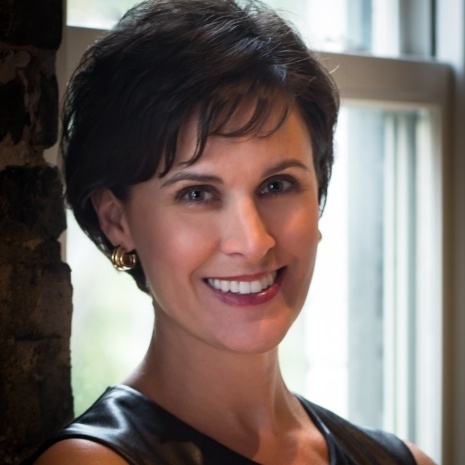 In addition, she is a Key Partner and educational trainer for the Nonprofit Leadership Center of Tampa Bay, and at the Edyth Bush Institute for Philanthropy & Nonprofit Leadership at Rollins College. She is a Certified Fund Raising Executive and specializes in professional education in the areas of change management, capital campaigns, volunteer management, board governance and fund development. In 2015, Turman was recognized by Tampa Bay Metro Magazine as one of Tampa Bay’s Distinguished Women in Business, and in 2016 as the Face of Nonprofit Change. She has also been nominated by Tampa Bay Business Journal as Business Woman of the Year in 2007, 2016 and 2017. Turman received her bachelor degree from Florida State University and her master’s from University of South Florida. After thirteen years of museum management with a focus on curating exhibitions, fundraising and administration at such esteemed institutions as the Museum of Fine Arts, St. Petersburg, the Vero Beach Museum of Art, RMS Titanic and the Gulf Coast Museum of Art, and serving as an associate professor of art history and humanities at St. Petersburg College, she moved into the health and human services industry. Over the next six years, Turman focused on fundraising, operations and human resources for the National MS Society, Children’s Home Society and the Lighthouse of Pinellas for the Blind and Visually Impaired. During her tenure at the Gulf Coast Museum of Art, Children’s Home Society and the Lighthouse of Pinellas, these organizations were all recognized as Nonprofit of the Year by the Tampa Bay Business Journal. With over 23 years of nonprofit experience, Turman established Catalyst Consulting Services. Responsible for increasing the impact and best practices of the nonprofit organizations she serves, she has raised over $60 million for the Tampa Bay community through her professional and personal philanthropic efforts. Turman’s community service has included leadership roles on the boards of the Arts Council of Hillsborough County, Suncoast Chapter of the Association of Fundraising Professionals, Partnership for Philanthropic Planning, Leadership Pinellas, the South Tampa Y, University of South Florida’s Women in Leadership and Philanthropy Mentoring, and Working Women of Tampa Bay Foundation. 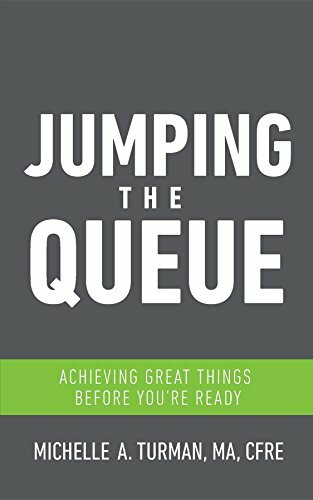 Michelle's book: "Jumping the Queue: Achieving Great Things Before You Are Ready"